The U.S. Department of Agriculture’s Food Safety and Inspection Service said Thursday that the recall of Tyson ready-made strips was issued after it received two reports of “extraneous material” in packages of the frozen chicken products. Tyson’s recall of pre-made chicken products included 20- and 25-ounce packages of Buffalo-style chicken strips, as well as 20 lb. boxes of crispy chicken strips. All three had expiration dates of Nov. 30, 2019. The FSIS designated the recall as a Class I, meaning there’s a high health risk associated and the recall carries the potential for serious health effects. While the FSIS said that there hadn’t been any confirmed incidents of health issues resulting from people eating the products, it nonetheless said that packages of products bearing the number “P-7221” should be thrown out or returned. Clarification: A previous version of this story stated the recall was for chicken nuggets. 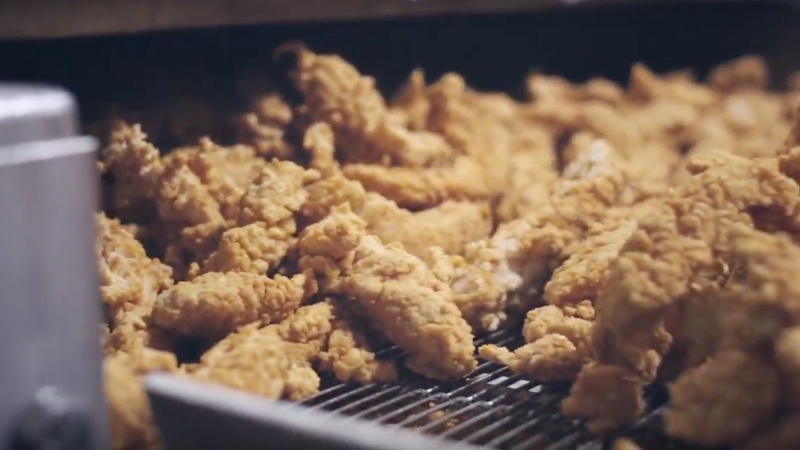 We’ve updated the story to reflect that the recall applies to chicken strips.